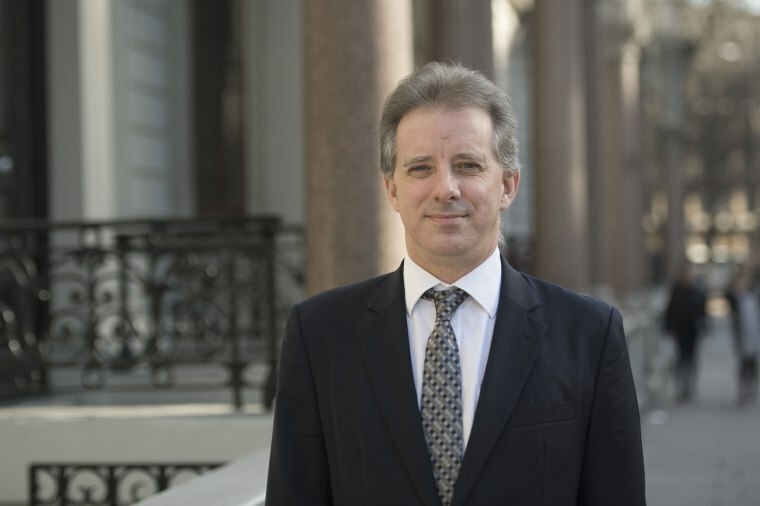 WASHINGTON — Christopher Steele, the former British intelligence operative who authored a 35-page dossier alleging that the Trump campaign had colluded with Russia, has been in talks with the Senate Intelligence Committee about speaking to its leaders, three sources familiar with the situation told NBC News. In a development first reported on "The Rachel Maddow Show" on Thursday night, the sources disputed the characterization of the situation by Sen. Richard Burr, R-N.C., the chairman of the intelligence committee. Burr said this week that Steele had flatly declined the committee's offer to speak to him, and the committee thus had "hit a brick wall" in its attempts to investigate the dossier. One source close to Steele said that in late September, Steele relayed to Washington, through an associate, that Steele in fact would be happy to meet with Burr and Sen. Mark Warner of Virginia, the committee's ranking Democrat. Two other sources said the situation was "more complicated" than portrayed by Burr during a news conference Wednesday. Those two people, one close to Steele and one familiar with the committee discussions, said that one of the sticking points was Steele's unwillingness to discuss who underwrote his work. Steele, who once worked as a British spy in Russia, was hired by the firm Fusion GPS, which was conducting opposition research originally funded by undisclosed Republican opponents of Donald Trump, according to a source close to Steele. During the general election, unknown Democrats began picking up the tab, sources familiar with the matter have said. In a joint statement to NBC News, the Intelligence Committee leaders said: "The Committee has made multiple requests to meet with Mr. Steele over the last nine months, including outreach to his attorneys. We remain open to any credible offer to meet with Mr. Steele, whether in Washington or in London." NBC News reported Thursday that members of special counsel Robert Mueller's team had recently interviewed Steele, whose dossier has been a controversial and much-debated document since it was first published in January by BuzzFeed. At his first news conference in January, Trump denounced the document.